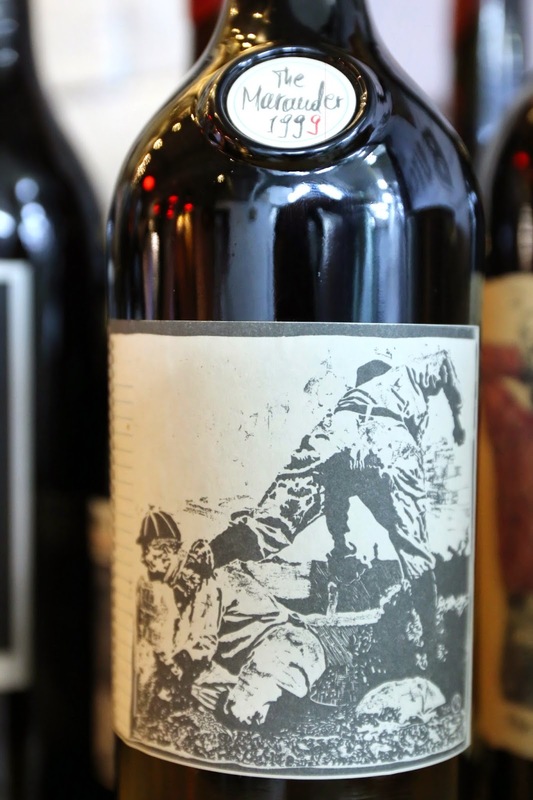 Dinner at the Butcher's Club featuring wines from Sine Qua Non. 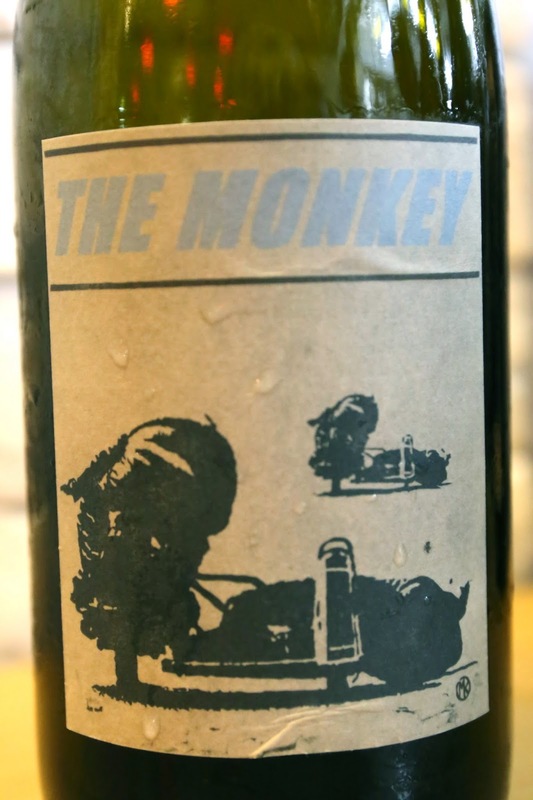 2010 Sine Qua Non The Monkey - 52% Roussanne, 23% Viognier, 19% Chardonnay and 5% Marsanne. 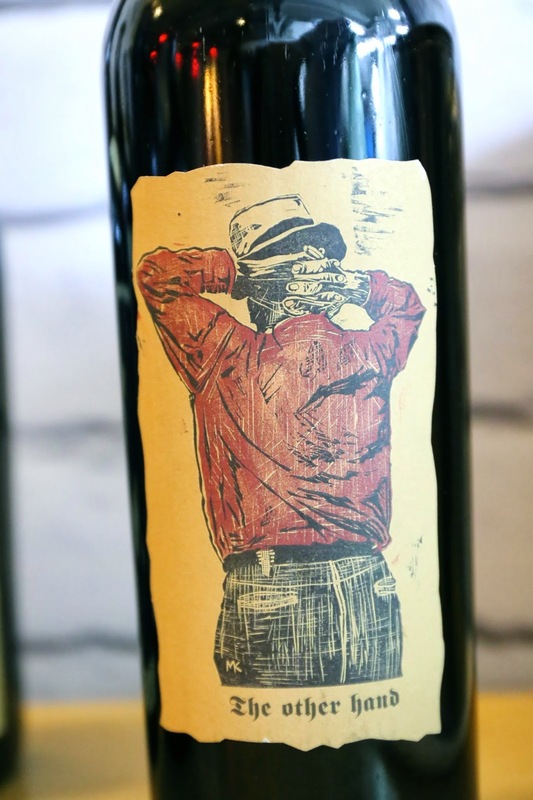 Full-bodied, very ripe. Very sweet on the palate when taken with the clams, and the finish was a little bitter. 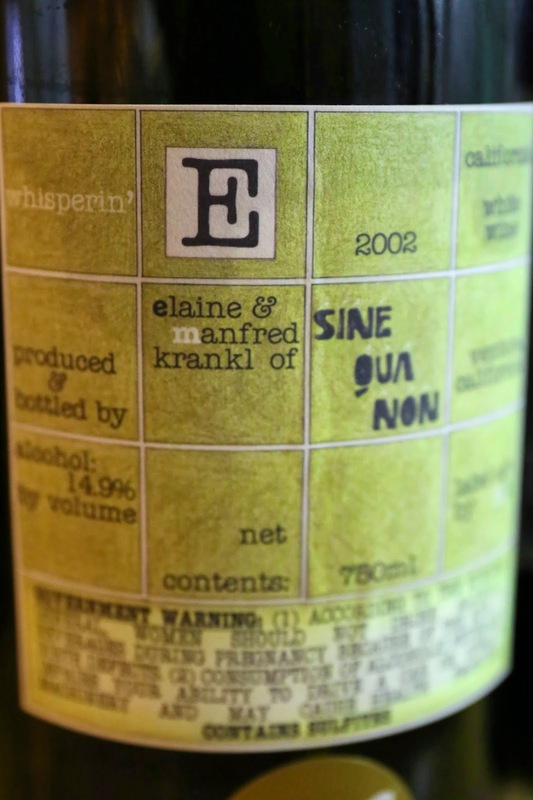 2002 Sine Qua Non Whisperin' E - 50% Roussanne, 31% Viognier and 19% Chardonnay. 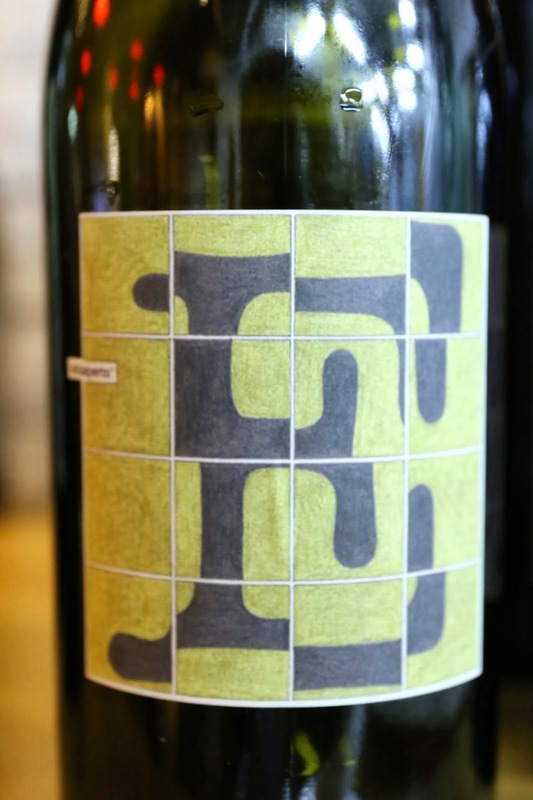 More lemon and citrus, grassy and sweeter nose, almost candied. 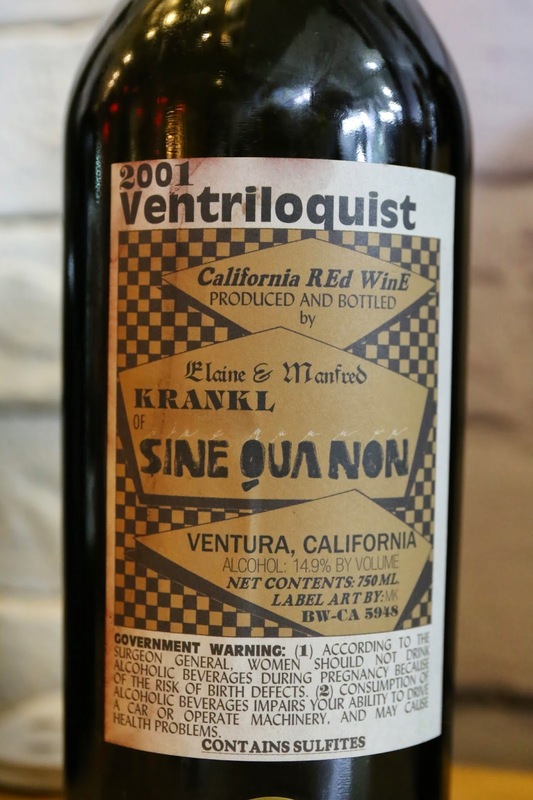 Nice on the palate. 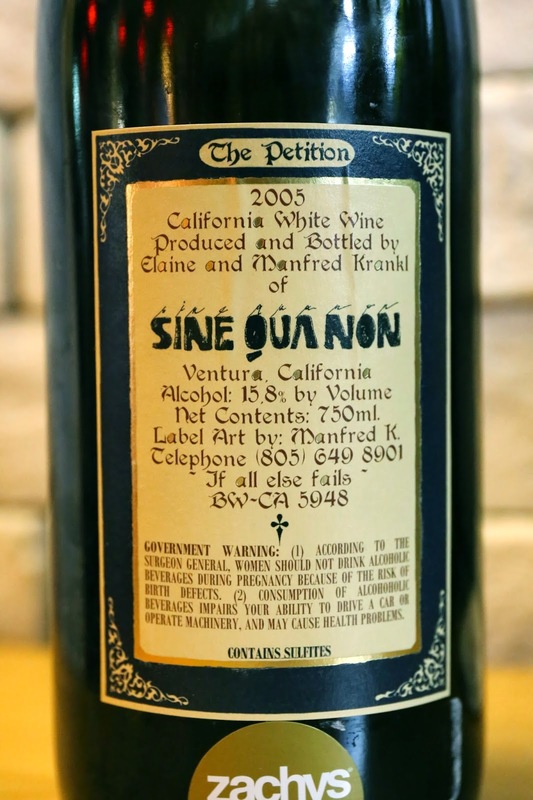 2005 Sine Qua Non The Petition - 37% Viognier, 33% Roussanne, 30% Chardonnay. 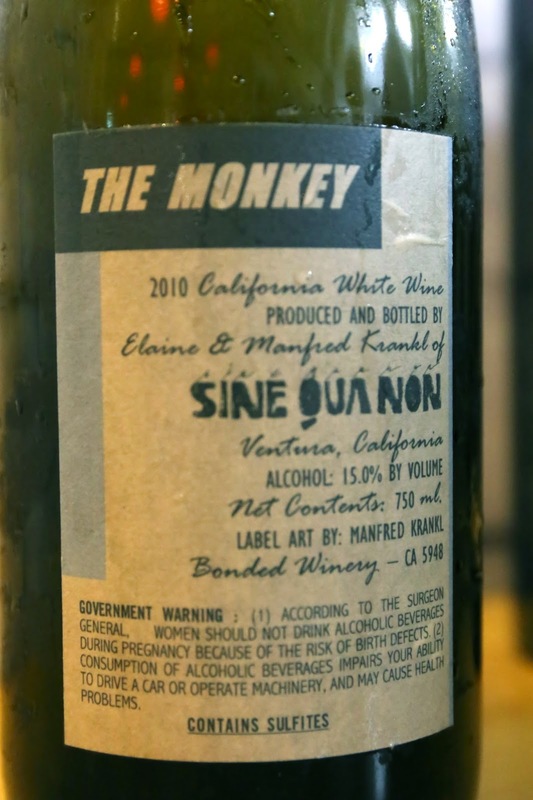 Pretty ripe and sweet, and not too bitter on the palate. 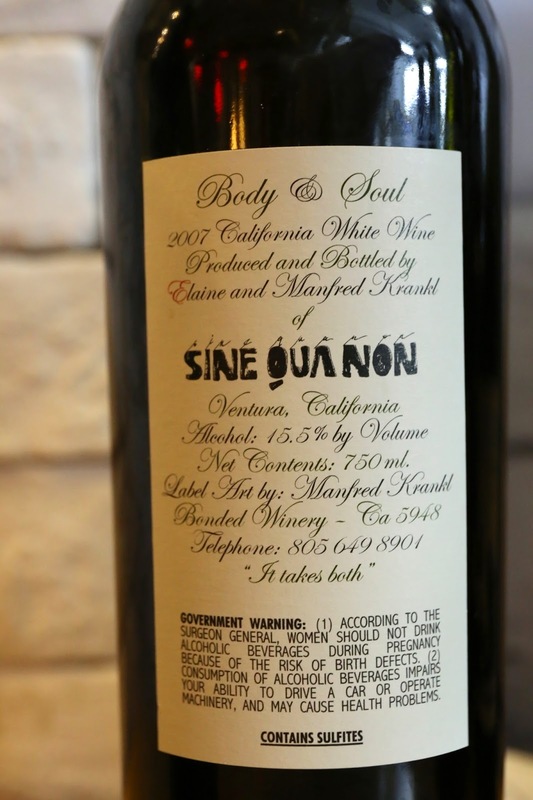 2007 Sine Qua Non Body & Soul - 71% Roussanne and 29% Viognier. A little floral, white flowers, sweet with a little peach. 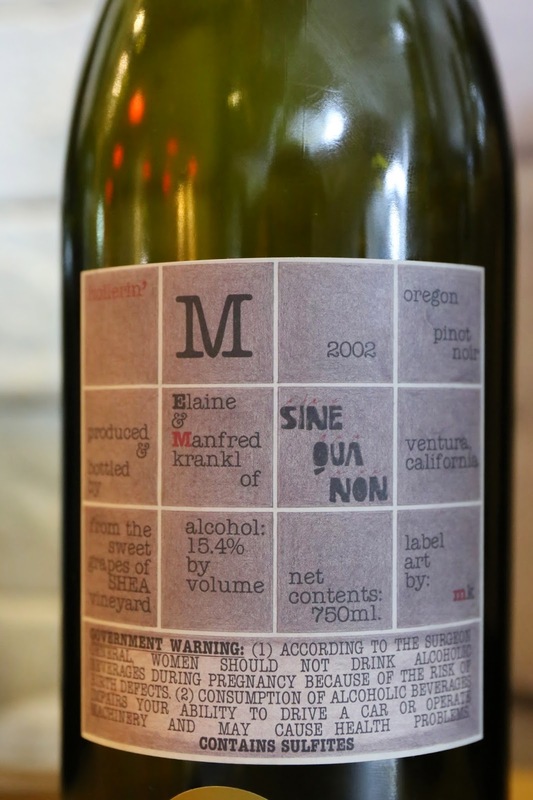 2002 Sine Qua Non Hollerin' M - 100% Pinot Noir. 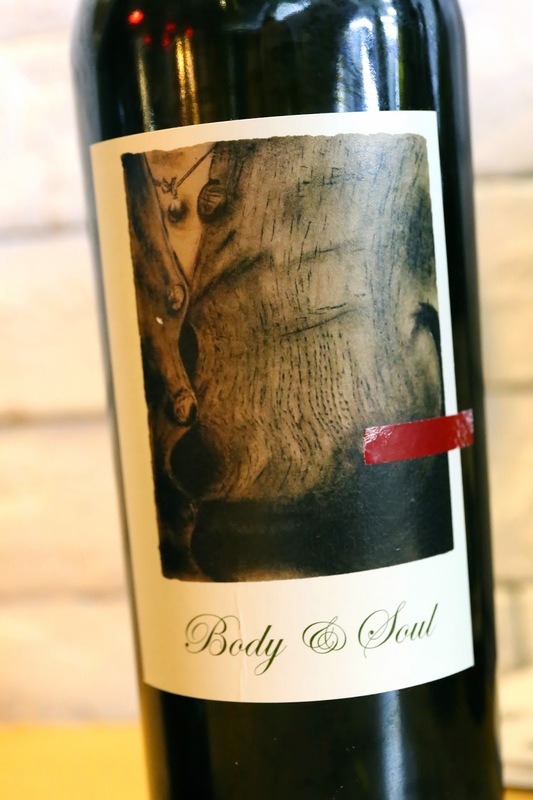 Nice and smooth on the palate, with a bit of forest in the nose. 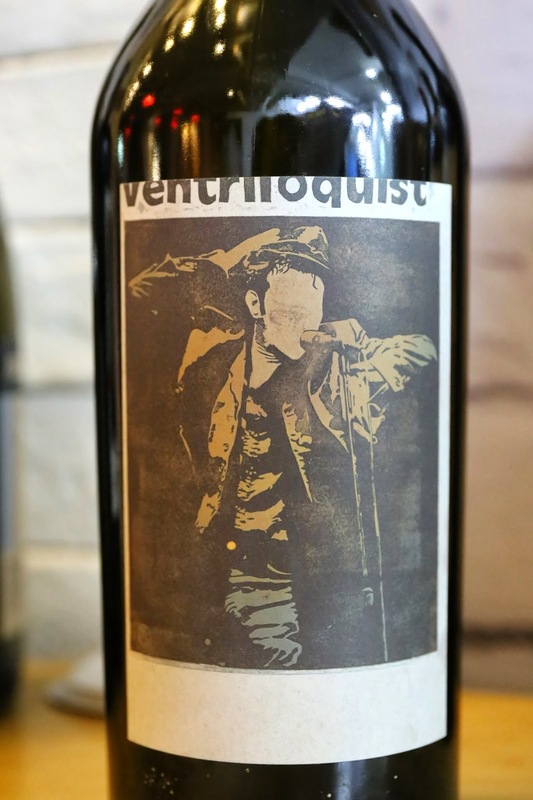 2001 Sine Qua Non Ventriloquist - 82% Grenache and 18% Syrah. 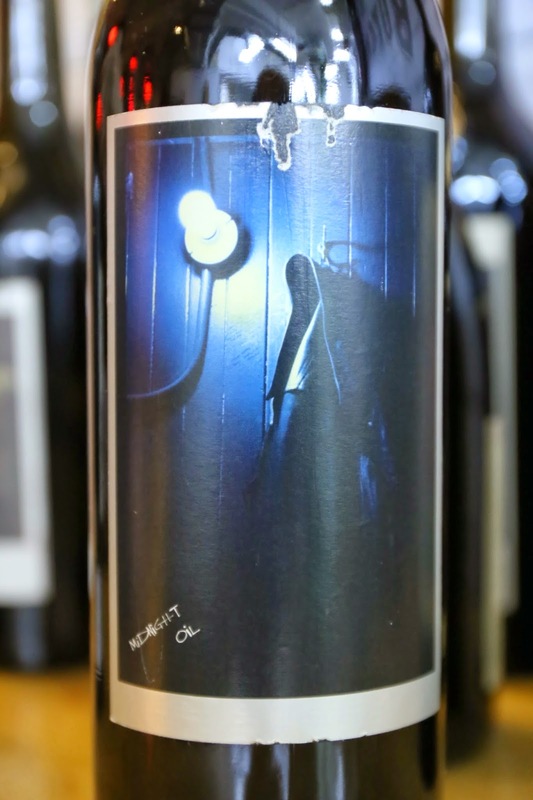 Ripe and jammy, a little metallic. Very nice and sweet on the palate. 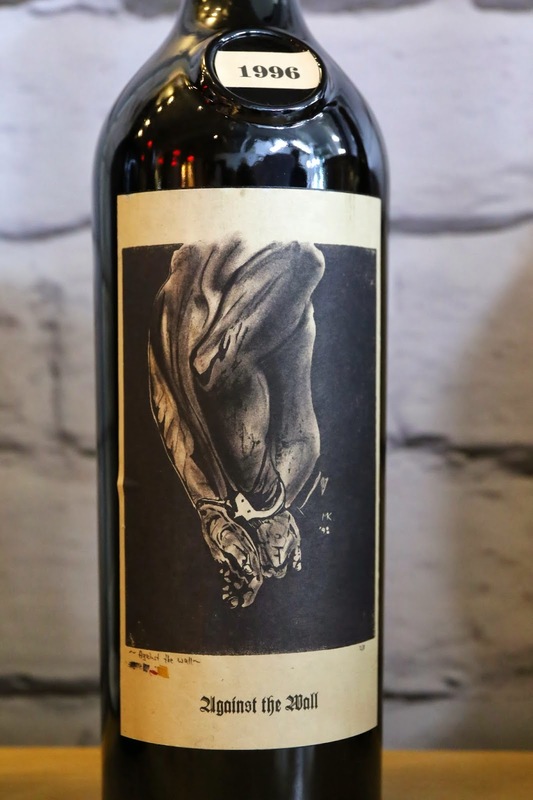 1999 Sine Qua Non The Marauder - 100% Syrah. 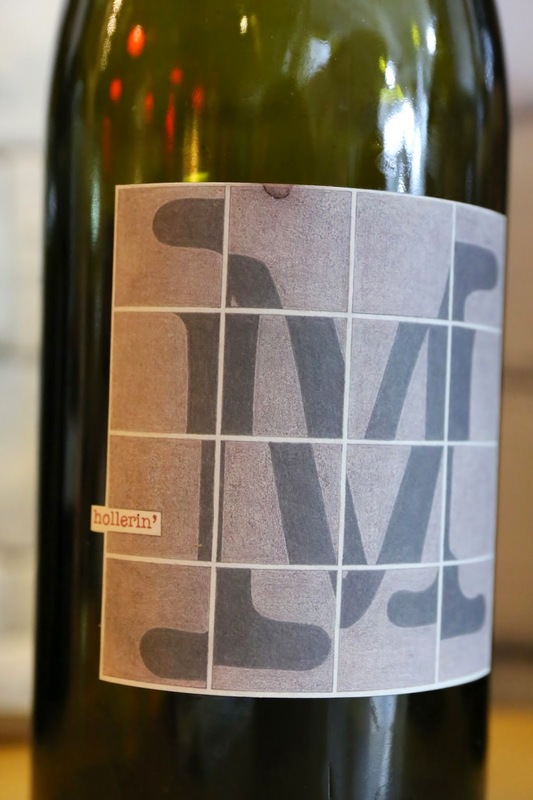 Jammy, metallic, sweet with forest pine. 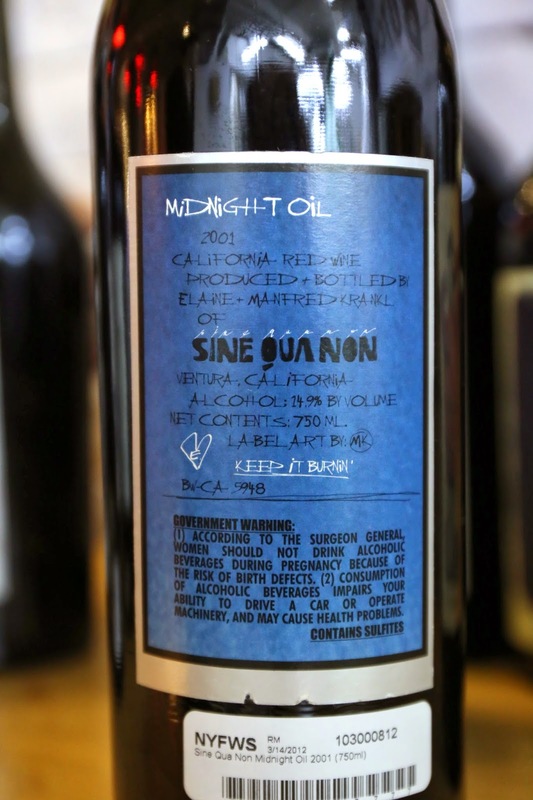 2001 Sine Qua Non Midnight Oil - 95.5% Syrah, 3% Grenache and 1.5% Viognier. Nice with very fragrant nose of cedar. Not bad at all. 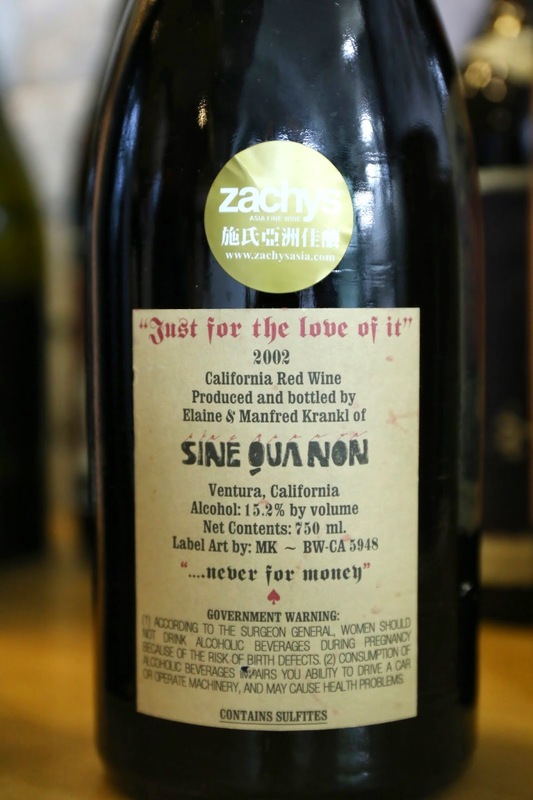 2002 Sine Qua Non Just for the Love of It - 96% Syrah, 2% Grenache and 2% Viognier. Metallic, smoky and meaty. Very concentrated. 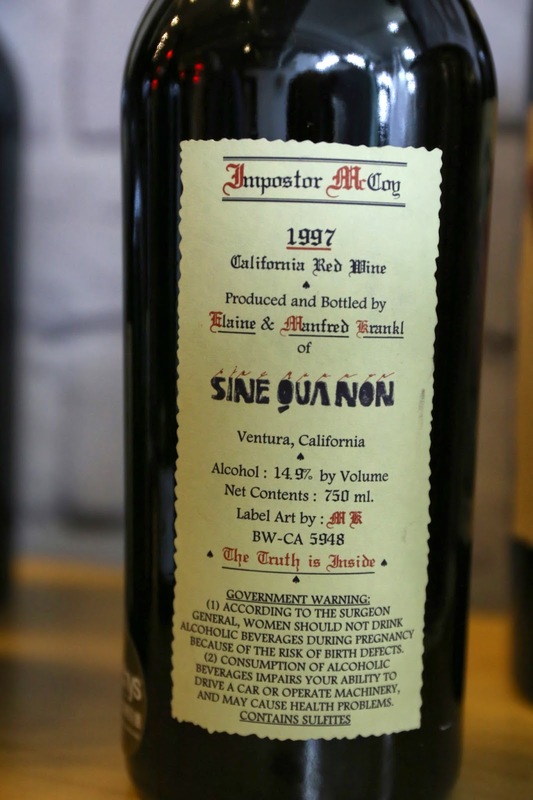 1997 Sine Qua Non Imposter McCoy - 100% Syrah. Minty, metallic and mineral. 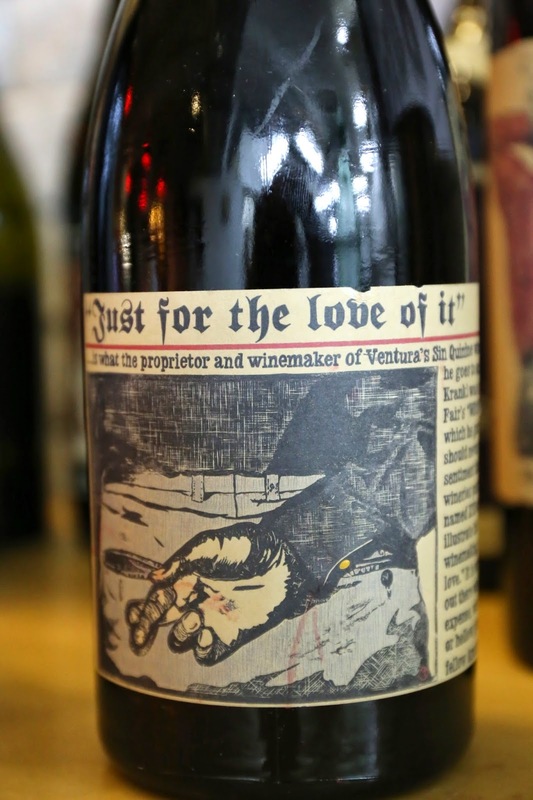 Pretty ripe and sweet on the palate. 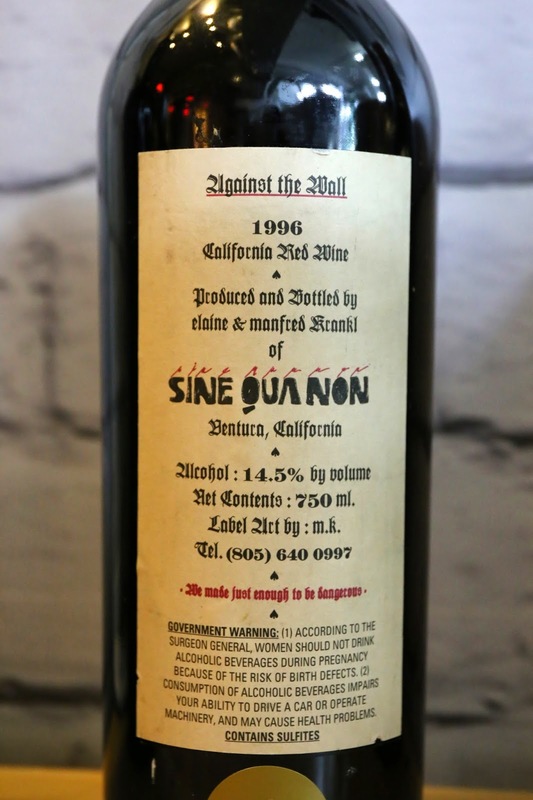 1996 Sine Qua Non Against the Wall - 100% Syrah. 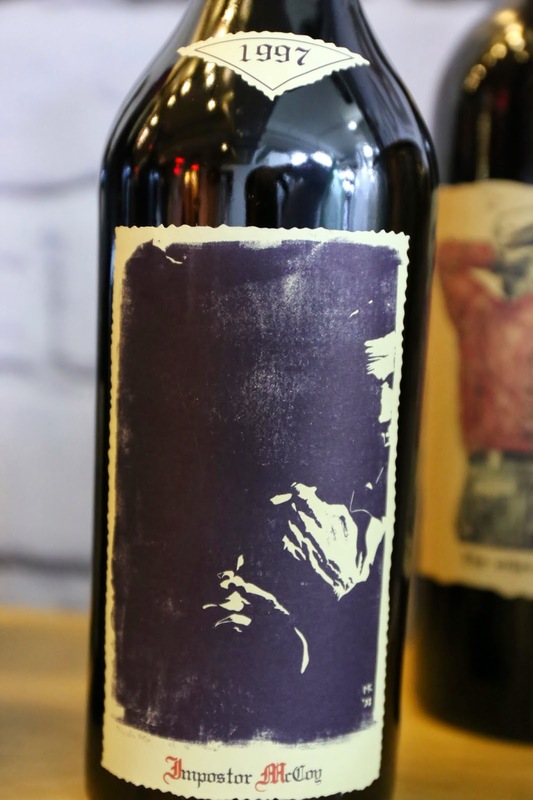 Really jammy, a little grassy, smoky with tangerine notes. 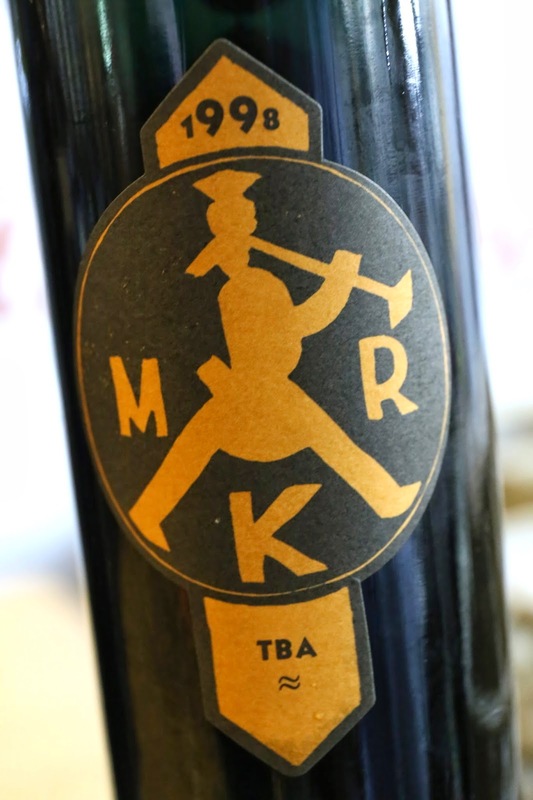 Was this corked? 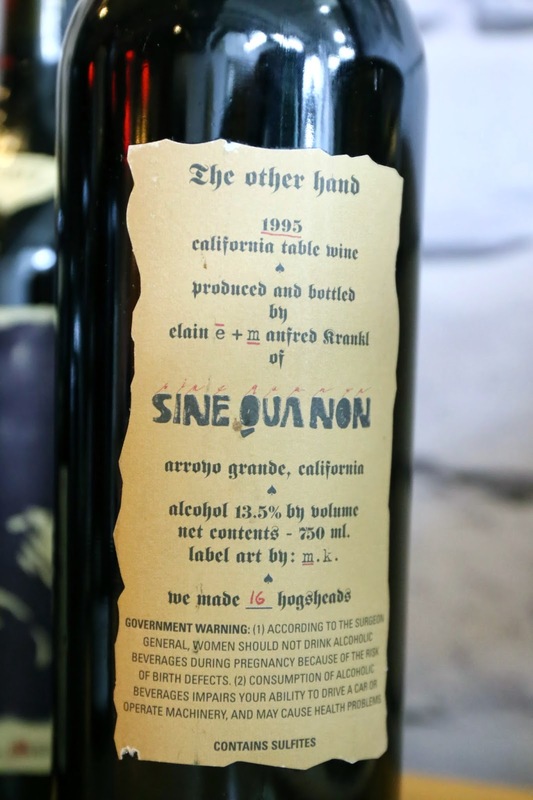 1995 Sine Qua Non The Other Hand - 100% Syrah. Farmy, smoky with black olives. 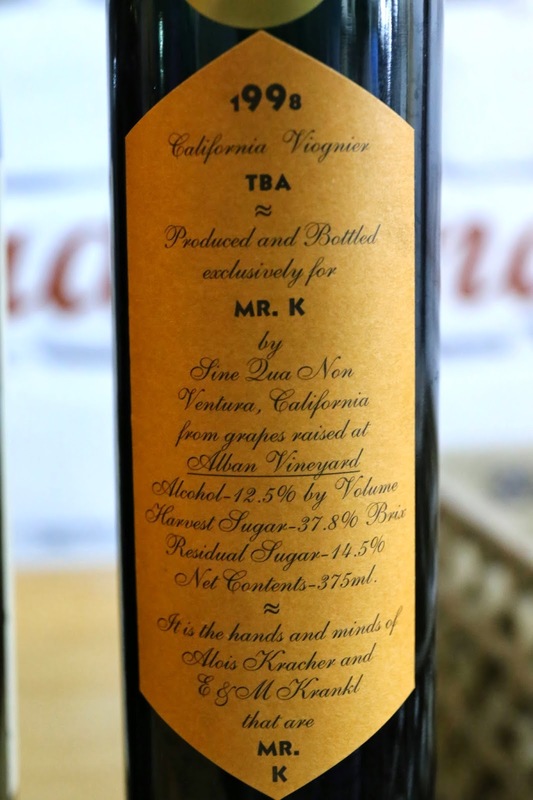 1998 Sine Qua Non Mr. K TBA - 100% Viognier. 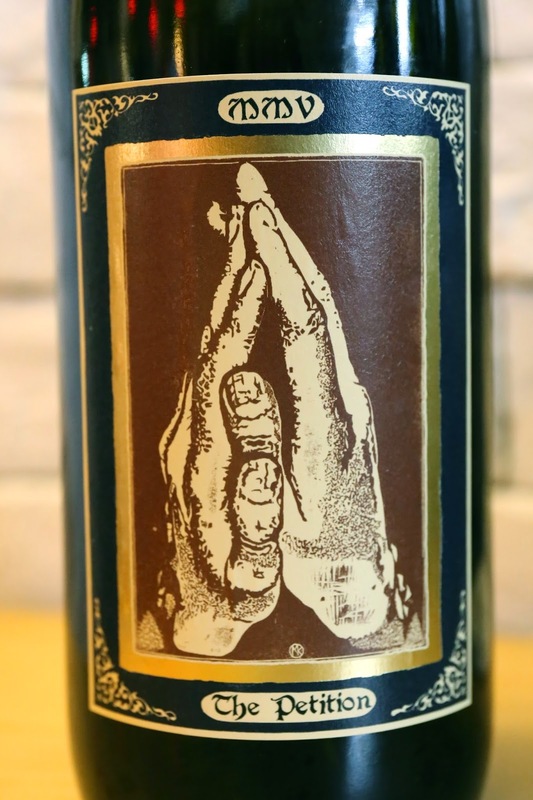 Nose of acetone, botrytis, grapes and honey. 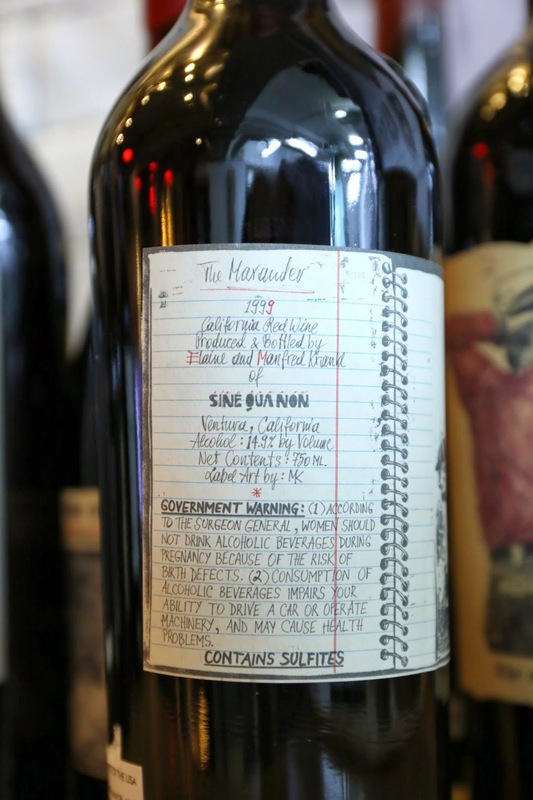 Soooo sweet on the palate.